Floral fashion is never out of trend, but it helps to know how to get it right and not go overboard. Here, we have shared tips that can help you style your floral outfits for different occasions to add spark to your look. Floral print mostly in dresses is on the top of this season’s trend alert. One can easily incorporate some florals in the workwear wardrobe. Go for minimal silhouettes and elegant prints. You can style a nice muted floral sheath dress with a leather belt, a longline blazer and a nice pair of block heels. A floral shirt with a solid skirt would also be a great hit at your workplace. People often connect florals with a breezy morning brunch or a sunny afternoon stroll but it could be a nice evening wear option too. All you have to do is to go for a floral print over a rich fabric like silk, satin or organza. You can also go for a quite elaborate silhouette and can finish the look with a statement pair of earrings and nice contrasting pumps. Fall season rings the bells for winters but it doesn’t mean that you can’t wear floral dresses in fall. For fall, one should opt for some earthy florals over chirpy ones. You can incorporate colours like slightly rustic shade of orange; go for floral printed mustards or a shade of lavender. You can style your floral skirts with tinted full sleeve blouses and you can wear your floral dresses as a layer over a basic t-shirt or shirt and can complete the look with a nice pair of boots and some chunky accessorising would do magic to the whole ensemble. A floral print short dress can be a very sophisticated and playful choice. A go-to option for casual getaways the colours of the dress can be anything from vibrant to bright or neutral. A solid black dress or anything in a darker hue is usually better suited for the cold weather. Boots and scarves can be matched to give a complete winter vibe to your outfit. Long floral shrugs are also great add-ons for a chic and breezy look in the fall season. The year is not complete without at least one meal eaten alfresco in the park or by the beach. Also, because the ambience and scenery around are just begging to be ‘grammed, you’re going to want to wear the right picnic outfit. Find something that keeps you comfortable like a nice floral blouse paired with comfortable linen pants. A floral dress paired with a solid scarf also makes for a great outfit choice! 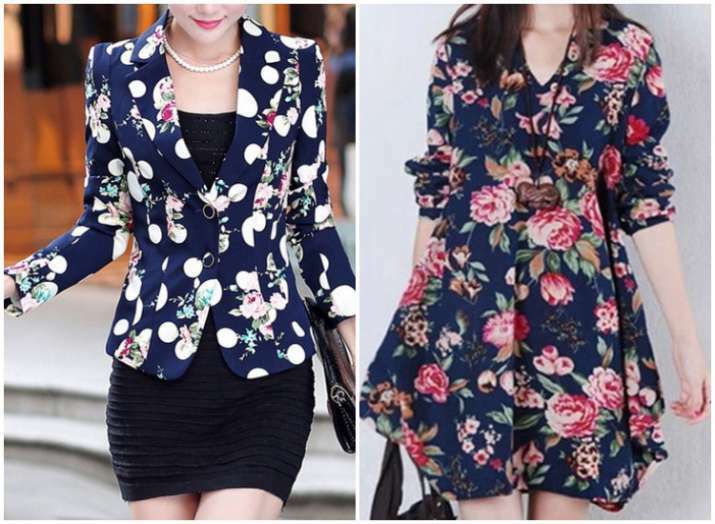 You can also choose long floral shrugs instead and as they add a rich look to any dress.